With our new short to medium range RF remote control, a gadget combined high remote performance with sleek new designs, smaller really is better, not only the wireless family provides a modern look and feel you demand, but also with the same robust Solidremote wireless capability you’ve come to expect. RF remote control works at short to medium range, usually between 30 – 200m distance, typical usage include garage door opener remotes, as well as other cases. Making RF remote controls directly in our factory, meeting customer’s requirment about customization, from ideas to mass production. Manufacturers or wholesalers who need to buy RF remote control in bulk to fit in your product, or have new product development ideas? Read on for more, or skip to our products gallery? Our short to medium range RF Remote Control is perfect for use in short range RF remote control appliances. The small but powerful wireless key chain works like an electronic key, which can provide easy and convenient operational control of most compatible wireless alarm systems, panic alarms, garage door functions, light controls or other remote control appliances from up to 500 feet away, passing through walls, windows or floors. It featured recessed buttons which helps prevent false operations, LED which confirms RF transmissions and key chain ring which fits easily on key chains, in a purse or pocket, some models also featured back-lit buttons for use in low-light conditions and incorporate a bright white LED flashlight. Lithium coin cell battery installed on some models providing typical battery life of 5 years. Our RF remote control transmitters utilize CMOS and SAW (Surface Acoustic Wave) resonator technology, which greatly stabilized the frequency. Our RF Remote Control has a maximum of 10 bits tri-state address pins providing up to 59,049 (310) address codes, thereby, drastically reducing any code collision and unauthorized code scanning possibilities. Furthermore, for rolling code models, ease of use and security are dramatically enhanced by the on-board rolling code encoder, which allows instant creation of up to 16,777,216 (224) unique addresses without cumbersome DIP switches or cut traces. When paired with Solidremote RF modules or RF remote controller, this transmitter has a remote range up to 100m, the transmitter signal can be processed with a decoder IC or microcontroller. Our RF remote control can operate at very wide temperature range (-20 – +70°C). Thus, this very important feature enabled your RF remote control to operate under the toughest environment condition. Our 100m RF Remote Control is ideal for general purpose remote control and command applications. As a part of our encoder-based RF OEM family, it has been fully tested to meet your highest quality requirement, dramatically reducing development costs and time to market. The high-performance synthesized design provides superior frequency accuracy and minimizes body proximity effects. 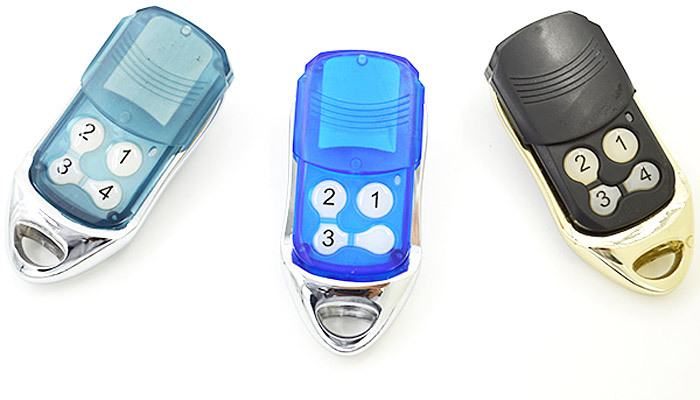 Available in 315MHz, 418MHz, 433.92MHz, 868MHz, 915MHz or any other frequency specified by customer, the stylish and compact remote control can be configured inside out to meet specific customer’s requirements, such as case materials, case colors, keypad button numbers, keypad labels, etc. Operating frequency – available for customization from 27 to 960 MHz, covering all the common use frequency such as 315, 418, 430, 433.92, 868 and 915 MHz, please note the 433.92 MHz and 868 MHz version are popular for use in the European Union, while the 315MHz and 418MHz versions are not legal for use in EU. Rolling code technology – by default, all our export remotes are using rolling code technology, to prevent the common code collision problem which appears on fixed code remotes, please check our blog for rolling code vs fixed code on more details. OOK and FSK optional – OOK is more widely used as it’s easy to implement, and usually sufficient for short range remote, but FSK is required if you need to improve data rate, see here for more information. Battery specification & replacement – Our short to medium range RF remote control is designed with standard 12V 23A alkaline battery built-in. In normal use condition, it will provide up to 1 – 2 years of operation. Lid access for replacement of battery is not provided due to slim and dust-proof design, however, battery can be replaced with a screwdriver by gently prying apart the two halves of the RF remote control at the seam. Once the RF remote control is open, replace the battery by sliding the original one out from beneath the retainer and put new battery back in position. Always replace it with the same type of battery while observing the polarity shown on the circuit board correctly, to prevent risk of explosion or circuit damage. Possible interference considerations – It is important to understand that only one transmitter using a certain frequency can be activated within a certain area at any given time. While the transmitted signal consists of encoded digital data, only one carrier of any particular frequency can occupy airspace without contention at any given time. If two transmitters are activated in the same area at the same time, the signals will interfere with each other and the decoder may not see a valid transmission, so it may not take any action. If you have experienced interference frequently, you might need to change the RF remote control to another frequency to avoid interference. Widely used in automobiles, motorcycles, remote engine starter, vehicle door locks, anti-theft alarm and security system, keyless entry system, personal alarm, home security system, home electric appliance control, wireless toys, short-to-medium distance wireless remote control products, garage door and gate openers, wireless roller blinds, shutter and curtain control, sunroof remote control, wireless call system, remote fan & lighting control, industry automation and other wire elimination and upgrade project etc. Working with Frontier Technologies Inc, we have made a custom transmitter which sealed in epoxy and works well in all kinds of environment, read more here. Anti-interference is always a challenge for remote control development, in order to make sure our remote works in all kinds of circumstances, we have developed tri-frequency system, read more here. Nothing is more efficient than communicating directly with factory engineers, we serve directly from factory, from idea to mass production. We’re confident in our engineering team & quality control, we have designed our products to be more simplicity in circuit, thus less problems. There are many different kinds of requirement in real world, our products are designed to adapt in every circumstances, and our software is also customizable. What about FCC, Industry Canada or CE certifications? Our short to medium range RF remote control has NOT been tested with FCC, Industry Canada or CE test labs in effect as of the date of this document, but we can do these tests in test labs here according to customer’s requirements, or we recommend our customer to submit samples to local labs in USA, Canada or Europe to proceed with certification. The main reason we’re doing this is our product’s diversity, each model’s hardware or software change will need to do a seperate test, also testing labs in USA, Canada or Europe has more credibility against law enforcement authorities. Actually several our customers are marketing their products this way, so they can have their own FCC ID and are confident with our product’s quality, test labs are often surprised we can make remote controls having harmonics surpression so well. Can I change the inner circuit board to meet specific requirements? We understand customer has all kinds of requirement, and some requirement will need to do small modifications to our PCB, one common seen scenerio is customer solder wire to control buttons externally. While we can’t control it after sale, we can’t assume responsibility for use of any circuitry other than circuitry entirely embodied in a Solidremote product out of factory, and it is always recommended to contact us to do the modification in factory if need larger quantities. What's the difference between so-called 100m and 200m RF remote control? Well, the most significant is as said, the remote control distance. The inside circuit are almost the same, but usually 100m model has PCB antenna built-in, which helps keep the body slim and compact, also enables design and manufacture of waterproof model, while the 200m model has extractable telescopic external antenna, which helps to increase the remote range, the details is as follows. 100m RF remote control usually has antenna built-in, more fashionable look, capable of various environment conditions, waterproof models supplied. 200m RF remote control usually has extractable antenna, longer remote distance. I want to know about common chip used in RF remote control. There are 3 types of encoder chip commonly seen in market, they are fixed code, learning code and rolling code. Fixed code has the cheapest price, but it requires manual encoding, using dip switch or soldering to set address code, also it has the lowest code combinations, thus not so secure. Typical fixed code chips on market are PT2240, PT2242, PT2260, PT2262, M3E, CT5062, HT6010, HT6012, HT6014, SH312E, HT600, HT680, HT6187, HT6270, TT13, PK10T, AX5026, CT5026, SMC5026, AX5326, AX5326S, TT8092, MC4134, MC1450, SC4134, SMC918 chips. Learning code is just a special form of fixed code, but it doesn’t need to solder or has the ability to solder address code, it is automatic encoding by chip itself, its price is higher, and usually can provide a million code combinations. Typical learning code chips include EV1527, FP527, HT6P20B and HT6P20D chips. Rolling code is the most complicated encoder among the three types, it has automatic encoding, also it is using algorithm to generate different code every time, you can usually see different code on every button press in advertisement, it has the highest price, also is most secure, virtually impossible to break by code grabber. Typical rolling code chip is HCS301, HCS300 and HCS200 models, you can also implement your own code format using 12F635 or 16F636 chip using Keeloq encoder built-in. What's the difference between fixed frequency and adjustable frequency? Fixed frequency model uses SAW (Surface Acoustic Wave) resonators to stabilize transmitting frequency, while adjustable frequency model uses LC circuit, center frequency change is done using adjustable capacitor or adjustable inductor. Fixed frequency ones usually has reduced size and weight, high reliability and ruggedness, no tuning or re-adjustment required and mass production capable. Adjustable frequency remotes usually can adjust frequency from 290 MHz to 480 MHz, so it’s very flexible, but the frequency is likely to deviate after long time using. In most circumstances, fixed frequency model utilizing SAW filter is strongly recommended since it has performance and stability advantages over adjustable frequency model which utilizes adjustable ceramic capacitor or adjustable inductor. Nowadays, we have programmable frequency chip, which can set precision frequency by divider and crystal, it has combined best points of two previous models, we have several this type of products already available in market, it has the best stability, but also is more expensive. Can I order samples? what's the minimum order quantity? Typically we have 100 pcs minimum order per model limit, (500 pcs minimum order for OEM customized product). But we have some models, such as waterproof remote available in our retail shop, which is only 5pcs minimum, is great for samples purpose. We provide samples with discounted price to test your design with our product, we always attempt to satisfy your specific requirement, but we reserve the right to have our staff contact you to offer substitutes, in case you need other models, please contact us for details on product catalog and large quantity quote. Lead time for samples is usually 3-5 working days after payment is received, and lead time for large order is usually 7-14 working days after payment is received. What are the OEM customization options? With a required minimum order met, Solidremote can configure the keypad and label areas according to your specific requirements. This includes rolling code options, receiver output features, unique frequencies, safety features, as well as other customer specified design options available on all our RF systems. Common products in stock can be delivered quickly, but when ordering any customized RF system, please allow extra time for these configurations, in which circumstance overnight orders will no longer be available. Please follow Frequency Compliance Requirements when customizing operating frequency, the 433.92 MHz and 868 MHz version is designed for use in the European Union while the 315 MHz and 418 MHz versions are not legal for use in EU. 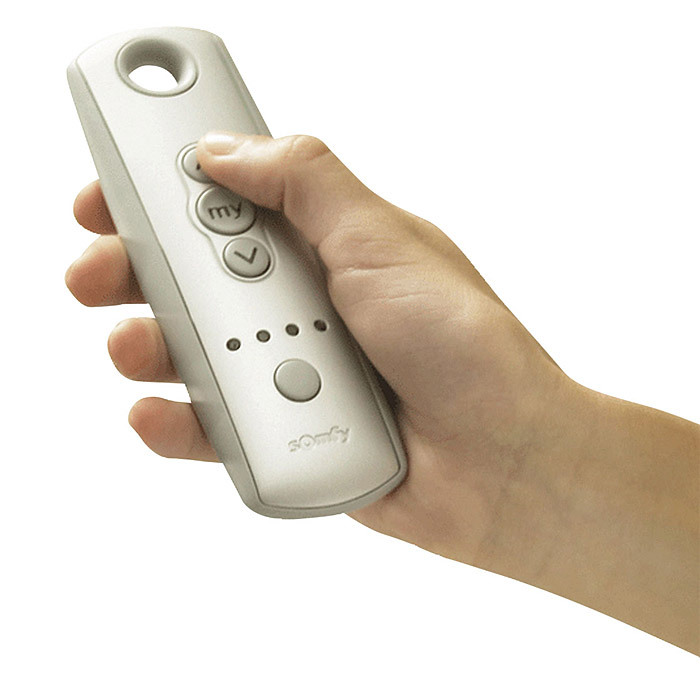 Where can I find all your RF remote controls, do you offer catalogue? In today’s connected world, all our product information are available online, and this page itself serve as a catalogue for all our RF remote control products. Thus we don’t offer any additional informations anymore, please contact us should you have any more questions. How do you define remote control distance? The distance data we provided is measured LOS (line of sight) with little radio interference, actual distance may vary greatly depending on the installation and operating environment. So there is no factory can guarantee the actual transmit distance, our RF technology can provide above industry average performance in most circumstances. For 150m+ distance with our short to medium transmitter, our external antenna may need applied, or you might need to change frequency if there is a lot of interference in your operating environment. How do I choose between plastic case and metallic case? Plastic case only uses ABS plastic material, it has more color variation and skin variation, also usually has cheaper price. While metallic case uses a combinations of ABS plastic and metal parts, it provides more stylish and solid look, and often feels more robust, higher quality and longer life, but it’s also more expensive. What about accessories such as keychains and sun visor? All our remote control case models have been designed compatible with key chains, and key chains are provided with all our remote control products by default. Other accessories such as visor clip are not currently provided except for OEM orders with certain order quantity. Which application should I think carefully before using remote control? Some of our RF remote control presented, send RF signal not based on rolling code technology, thus should NOT BE USED for any application with any pyro devices, safety dangers or used with devices that when operated can cause life threatening events. These RF remote control should NOT BE USED for medical, life-saving, life-support, or any applications that could cause injury, dangerous / hazardous situations or consequential damages resulting from the use of these devices. The buyer signifies agreement and acceptance to all these terms of this agreement in full. In general purpose RF remote control circumstances, fixed-code type is widely used and has 310 unique code addresses to choose from, providing adequate transmission security. What is the temperature rating of remote controls? For key components such as encoder chip and MCU, we always use industrial grade components, the temperature is -40 to 85C, and sometimes we will use automotive grade chip if possible, the temperature range can be as wide as -40 to 125C, so it will work even under extreme circumstances. But some other components such as SAW resonator and crystals, its stability can be affected by temperature, and sometimes can only work under 0 to 70C, work out of this range will result in decreased performance or unable to work at all. As electronic device, it’s always recommended to operate under normal temperature, for example, iPhone’s operating ambient temperature is only 0 to 35C, while nonoperating temperature is only ‑20 to 45C. If you would like the remote to run under extreme temperature, please consult with our engineer before ordering, so we can work out specific solution for you. We also have long range remote controls, field tested distance around 1km, please see our product page for details. We have complete receiver line to work with our RF remote controls, all receivers feature adaptive voltage and many advanced features, see here for more. Want to talk to our sales people about more customized enquiries, such as bulk order pricing, or product development enquiries? our sales looks forward to hear from you, contact us.